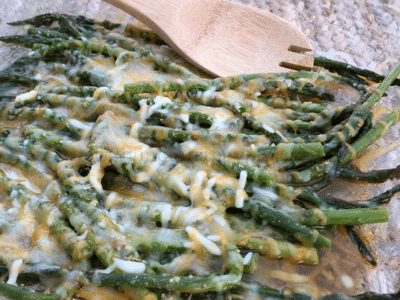 Sneak Preview: This one-pan Cheesy Cajun Baked Asparagus recipe is the perfect easy side dish! Cooking times may vary. 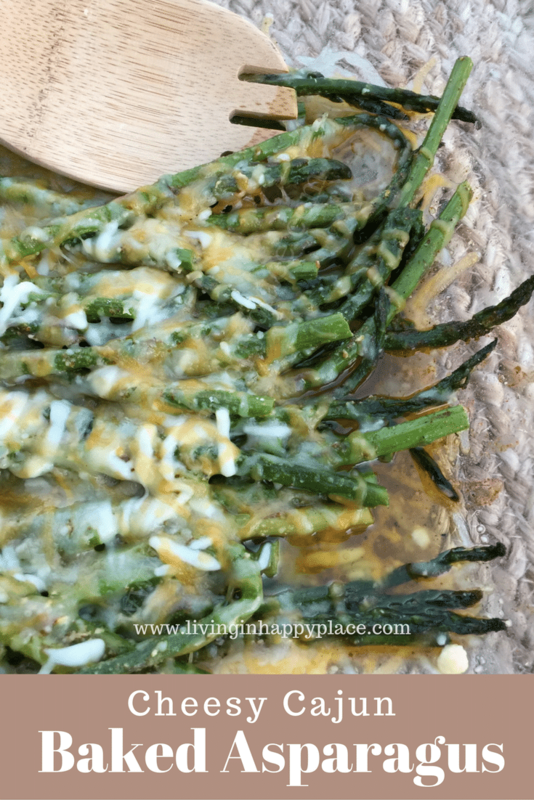 Keep an eye on the asparagus for desired tenderness. If you like a soft spear, cook 10 minutes longer. For a more crispy spear, remove at 25 minutes and test. As always, you can adjust the ingredients to your desired taste. 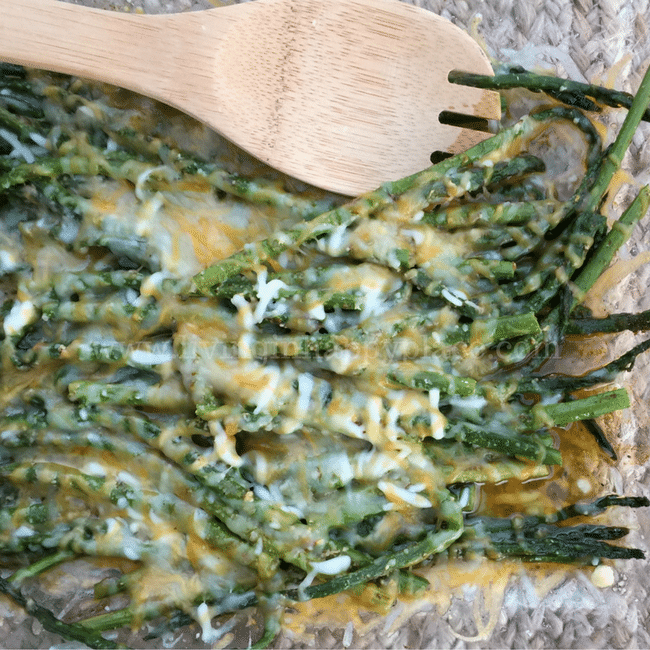 I like to select a thinner asparagus spear because they tend to be less stringy. You can also cut off more of the bottom (stem) if you prefer a softer texture. 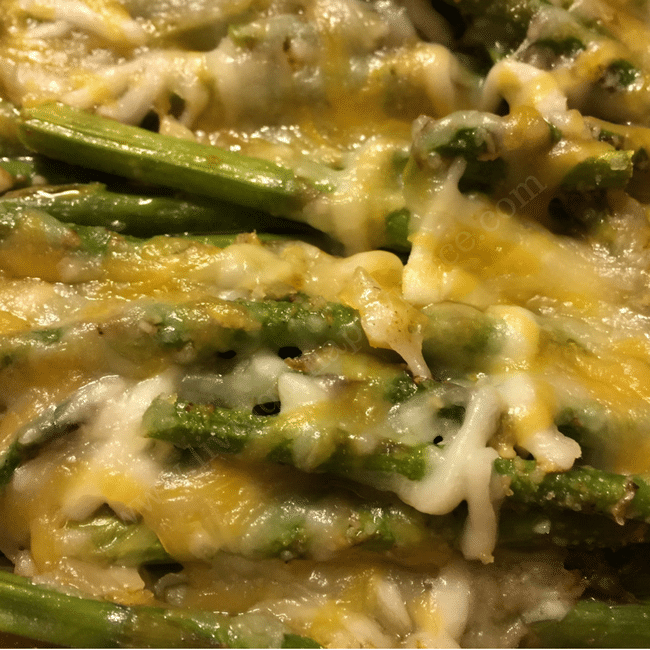 If you would rather skip the cheese and try for a lighter, healthier asparagus, try this Easy and Healthy Baked Asparagus Recipe instead. It’s perfect with seasoned shrimp.